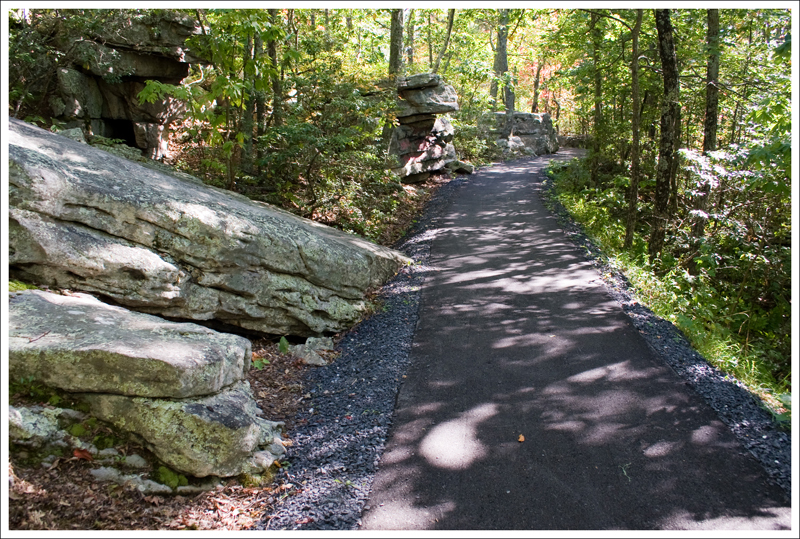 The view from the Massanutten Story Book Trail involves a short quarter-mile walk down a paved pathway. The view from the Story Book trail overlooks 211 and the Page Valley. Below: The trailhead is marked by a large sign; Along the path, there is a series of interpretive signs that describe the geology and flora of the area. 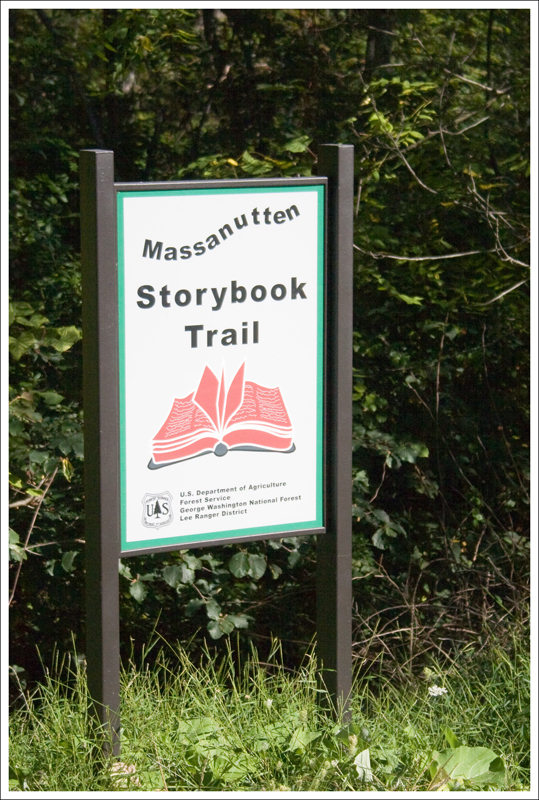 The Massanutten Story Book Trail is another one of those ridiculously short walks that can’t even be considered a hike. 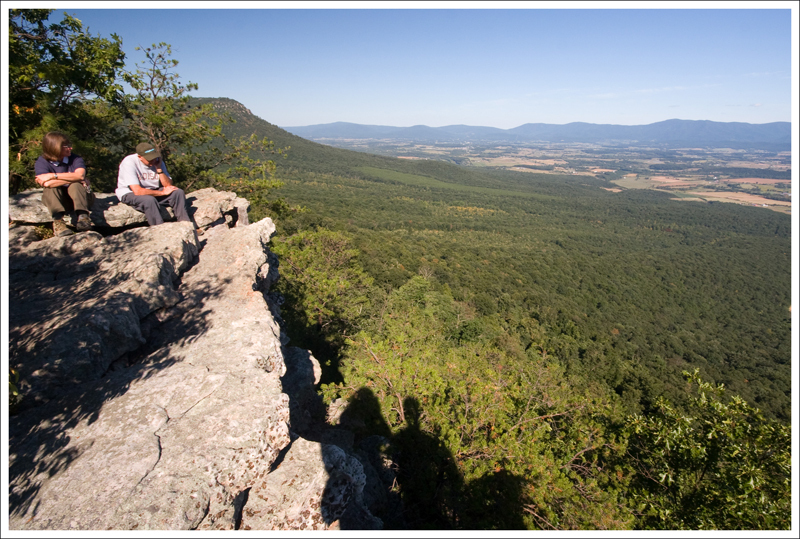 Nonetheless, it goes to one of the nicer viewpoints in the Shenandoah Valley. Sure… you can see the Battle Creek Landfill and a distant Walmart, but you can also see the mountains that make up Shenandoah National Park and pretty much all of the Page Valley. It’s a beautiful spot. To get to the view, just stroll down the level pathway for a quarter mile. 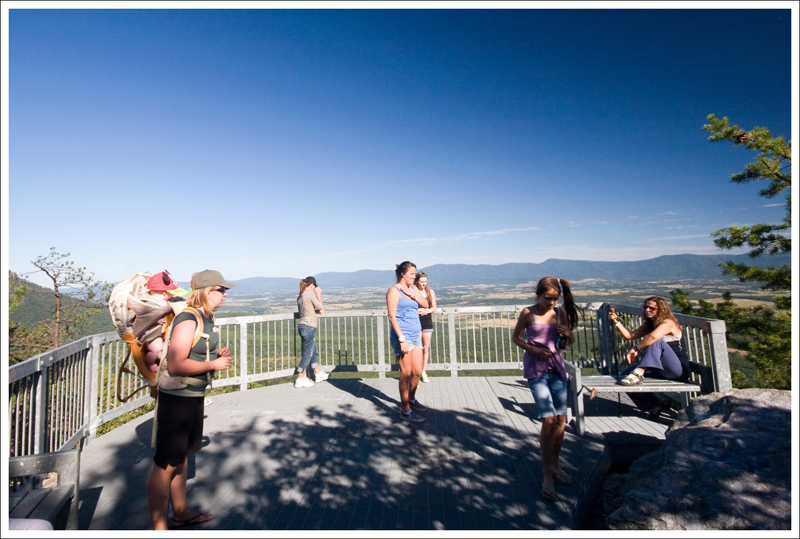 At the end of the paved trail, you’ll come to an observation platform. It’s railed in and has several benches to rest upon. But, for an even better view, don’t miss following a rocky footpath to the right of the platform. It leads to a rock shelf overlooking the valley. The rocks that make up the ledge have the most fascinating texture. One of the beautiful curved, wooden walkways. Below: At the end of the paved pathway, there is a platform from which to take in the view; Christine's Mom and Dad take in the view (You can see our shadows, too!). It looks like a lot of work/money has gone into cleaning up the Story Book Trail recently. The interpretive signs that had faded or been covered with graffiti have been replaced (although new graffiti is already showing up – seriously people, stop crapping up the outdoors… it’s disrespectful and stupid). The path looked like it had been repaved not too long ago. But, best of all, someone cleaned all the paint off the rock ledges that lie off the trail. Christine’s parents came down on a Sunday to meet up with us. We decided to take them on a couple of short hikes with great views. 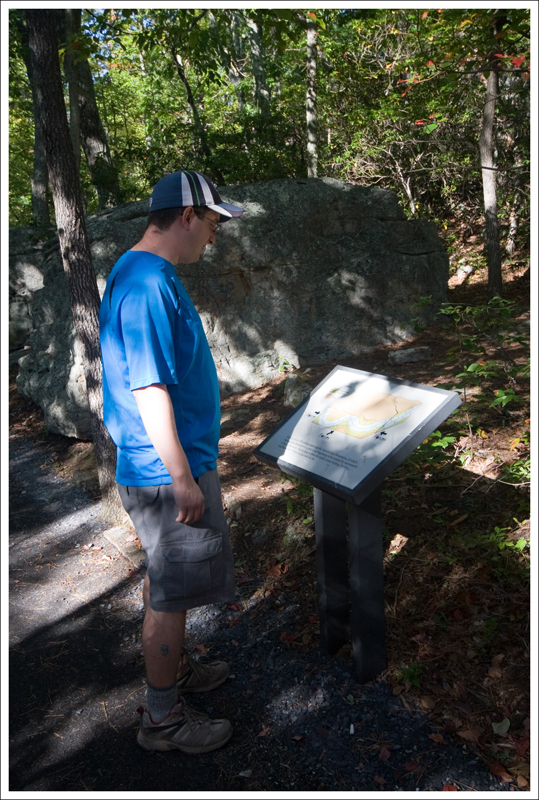 The first we did was Woodstock Tower and we finished it off with the Massanutten Story Book Trail. This trail is one of the easiest you will find, since the path is paved most of the way, with some beautiful wooden walkways in a few parts. Since it is also wheelchair accessible, just about anyone should be able to enjoy the views you will find here. Adam enjoys the view from the ledge. 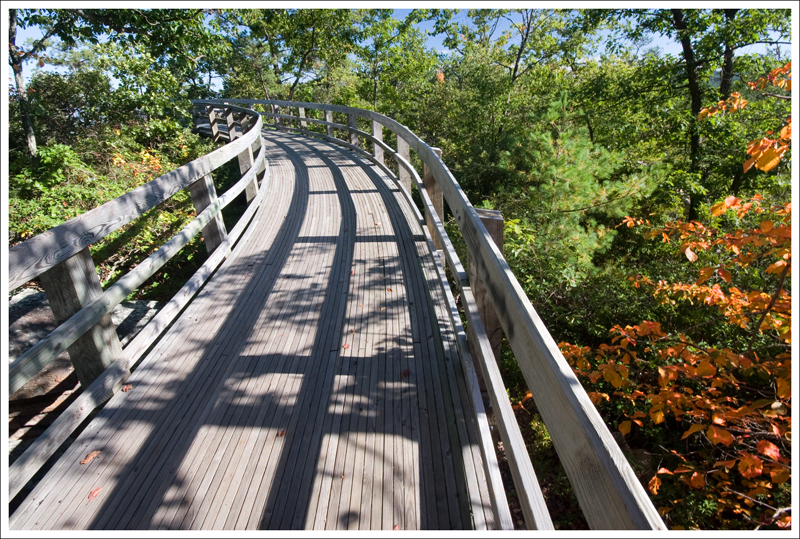 Below: The path is paved; Some sections are traversed by beautiful curved bridges. The trail also works as an interpretive trail, with many plaques to read along the way that give a great description of the geologic forces that have created the mountains in this area. There are two geocaches along this trail and one of these requires answers from the signs along the way. 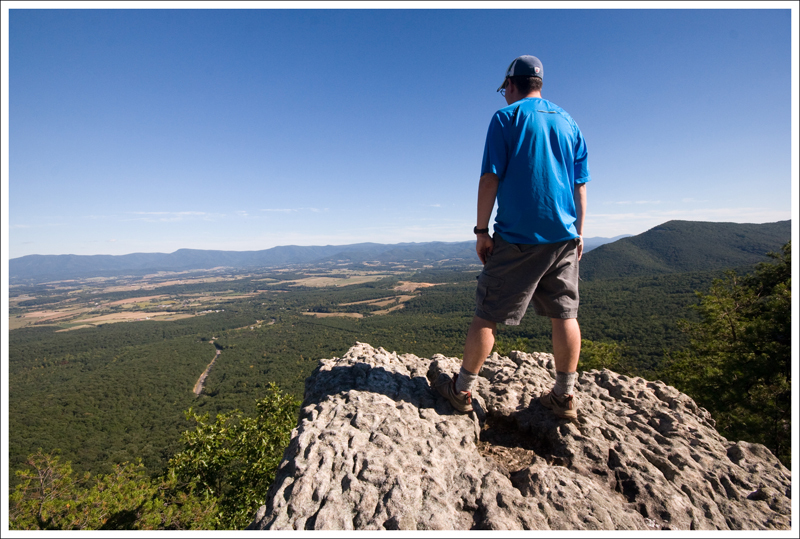 Christine and I often say that some of the areas of George Washington National Forest lead to better views than you get through hikes in Shenandoah National Park and this trail is great evidence of this statement. If you haven’t done this one before and enjoy great views with little effort, this is a trail for you. Difficulty – 1. 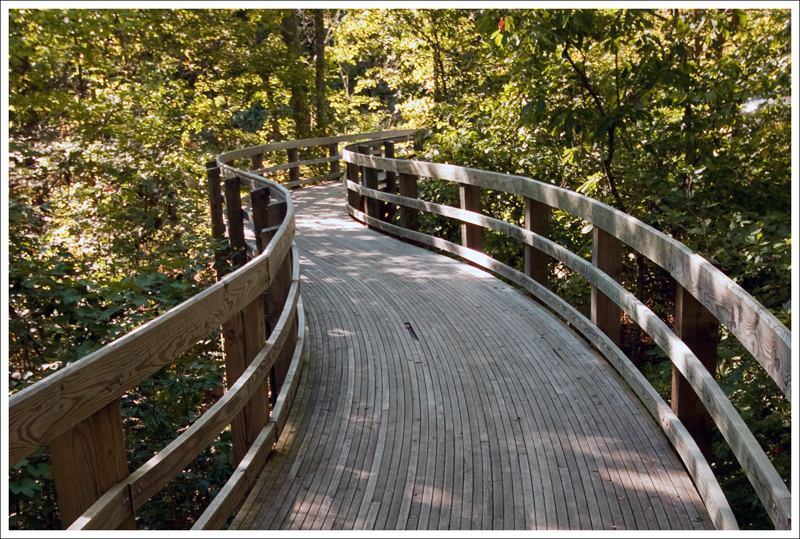 This trail is for everyone – paved for strollers and handicap accessible. Trail Conditions – 5. The official trail is paved. You can leave the trail and scramble on the rocks for another view. Waterfalls/streams – 0. No streams/waterfalls. Solitude – 0. You’ll see many people along this trail. 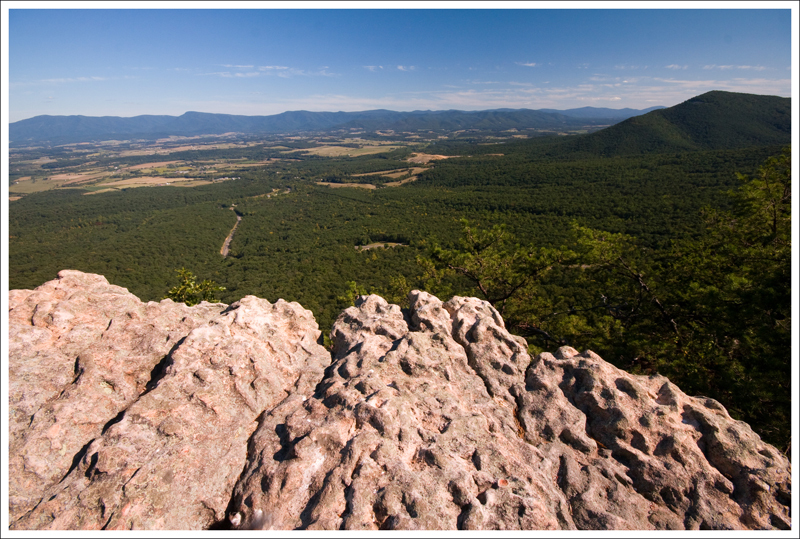 Reach the trailhead by turning on to Crisman Hollow Road (FD 274) off of 211 near Luray. Continue on this road for about a mile and park in a small lot off to the right. A wooden footbridge and trail marker will signify the start of the trail. addendum to wildlife trail notes: once almost stepped on a copperhead basking on the paved path. would reconsider walking barefoot. awesome view at night too. mostly encourages underage drinking and teen romance. bring hand sanitzer. I’ve been wanting to get to the Massannutten area for a bit. I guess I’ll wear my Adidas running shoes for this one and leave the Vibram soles in the car. Thanks for sharing the great views.